PMI Tanzania Chapter will be hosting the 2019 PMI Project Management Africa Conference in Tanzania at the Hyatt Regency Hotel (The Kilimanjaro) from 8 – 10 September 2019. We look forward to you partnering/sponsoring us in hosting this world-class event. 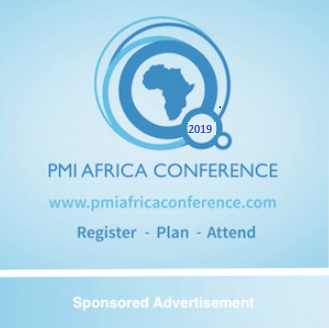 This is the 4th PMI Africa Conference, The 1st was held in Johannesburg, South Africa in 2015, the 2nd in Accra Ghana in 2016, and the 3rd in Mauritius. Each of the conferences attracted over 300 delegates from around the world including –business leaders, entrepreneurs, professors, politicians, governments, humanitarians, diplomatic corps, donor partners, academic institutions and industry experts across the African continent, Europe, North America and Asia. The fourth edition of the PMI Africa Conference in 2019 will offer two and a half days of knowledge sharing in Dar es Salaam – Tanzania. Join hundreds of professionals and practitioners from multinational organizations across Africa and the world to share experiences, reinforce core skills and network with leading international speakers, industry experts and other practitioners across all industries.